This will be one of our most powerful events! 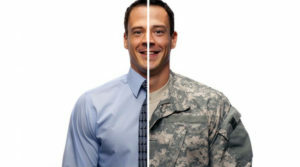 Veterans and their business associates attend AT NO CHARGE! We are bringing our Washington contacts to Milwaukee for 2 days…. We have extended the conference to 2 days and will be offering refreshments and a luncheon. We still have a limited amount of sponsorship opportunities available. Interested companies should contact info@nevbrc.org for more information. Congressional staff members who will be writing the legislation effecting veteran business this year. Federal agencies who are specifically targeting veteran owned businesses. Prime contractors who are looking for veteran businesses to partner with and subcontract to. Other veteran business owners, advocates, and support networks. Register NOW for one of the most important conferences of the year, exclusively serving SDVOB’s Nationwide! This conference WILL get SDVOB’s in touch with corporate and government agencies through seminars, business matchmaking and numerous networking events. The special SDVOB hotel rate of $135 will expire August 2nd. Business Sessions – Featuring Jack Beecher – US Army Corps of Engineers, Dan Sturdivant – DHS, Theresa Lewis – U.S. Treasury, and others. Business Matchmaking – a valuable way for small businesses to meet one-on-one with public and private organizations for procurement opportunities. Prime Vendors – Our sponsors and exhibitors this year include: PG&E, Southern CA Edison, Sempra Utilities, AT&T, National Grid, Lockheed Martin, Rolls Royce Naval Marine, Homeland Security, HUD, VA, Sigorsky/Hamilton Sunstrand and US Bank. Business Expo – Exhibitors from both the public and private sector will be participating at the event to provide information and conduct business with small businesses. Register online or, call us today to make your Convention reservations! Please forward this email to your Chapter members, fellow veterans and business associates. If you need more information please visit the website: www.sdvobconference.com or, you can contact me directly. We look forward to seeing you at the Convention! Overview: Small & large business leaders from the local area and across the nation, many who are Veteran business owners and business leaders will attend to increase their business opportunities with the U.S. government. Format: forums, speakers, workshops, match-making with various contracting agency leaders, subject matter experts, prime vendors, and successful small business leaders; along with a large Expo Hall to facilitate networking with DoD/other federal agencies, industry leaders, and vendors. Mark your calendar – Don’t miss out on this dynamic event! The 6th Annual National Veteran Small Business Expo! The Veteran Small Business Federal Interagency Council is proud to present The 6th Annual National Veteran Small Business Conference and Expo at Caesars Palace Hotel, Las Vegas, Nevada, July 19-22, 2010. As the largest conference of its kind, this nationwide conference will bring together over 3,200 attendees from Veteran-Owned and Service-Disabled Veteran-Owned Small Businesses (VOSB/SDVOSBs), federal agencies and departments, and prime contractors to share best practices of how to do business together. The Exhibit Hall and Matchmaking Sessions will provide attendees the opportunity to showcase their businesses and conduct face-to-face meetings with government purchasing officials and subcontracting specialists, all of whom are eager to find VOSB/SDVOSBs capable of delivering the products they need. Sponsorships are also available to maximize your company’s visibility at the conference.